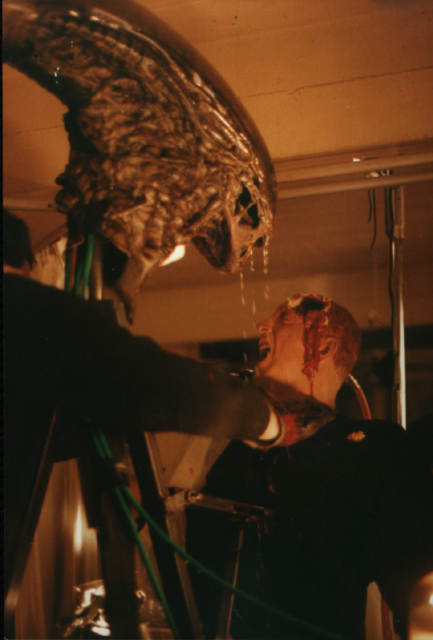 Boy, did someone screw the pooch with this 3rd one in the Alien film series (after Aliens in 1986); the director, David Fincher, did as well as he could with the script and concept, but they just took the whole franchise into the absolutely wrong direction. Instead of expanding on the grander scale of Aliens, they went backwards. 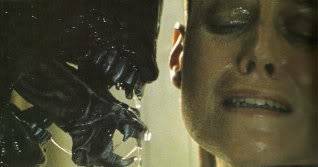 The characters of Hicks and Newt, the only survivors besides Ripley (Sigourney Weaver) from Aliens, are disposed of as the film begins; Ripley herself is stuck on a prison asteroid with a bunch of bald inmates. WTF? The key inmates are played by Charles S. Dutton - the one who aims for redemption - Charles Dance as the fallen physician, Brian Glover as the shortsighted warden and Pete Postlethwaite just before he became well known. 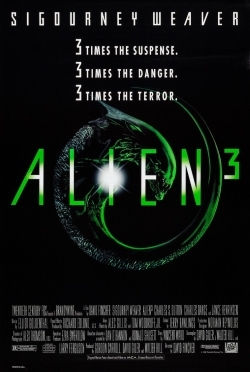 I may as well throw this out there - what was the thinking also behind the title style - Alien3? A single alien to the 3rd power just equals one. Oh, wait... yeah, there is only one in this film. Fincher would later direct more dark material in films like Se7en - one of my favorites, so his style is definitely strong. But, I just look at this one as a bad dream that Ripley is having while asleep in the drifting ship. I really didn't much care if any of the characters survived in this one; well, I cared more that Newt and Hicks were gone, and that's not good. Lance Henriksen also shows up in two roles - briefly as the android Bishop (so he does return from the 2nd film) and, in the final act, as the human engineer who developed the android line. BoG's Score: 5.5 out of 10 Next up was Alien Resurrection (1997).